Incorporating Wheelguarding Anti-Drop Plates, Width Adjusting and Lifting Shackle. This range of Adjustable Lightweight Runway Beam Trolleys is a range of lightweight hand push SUPERCLAMP runway beam trolleys. 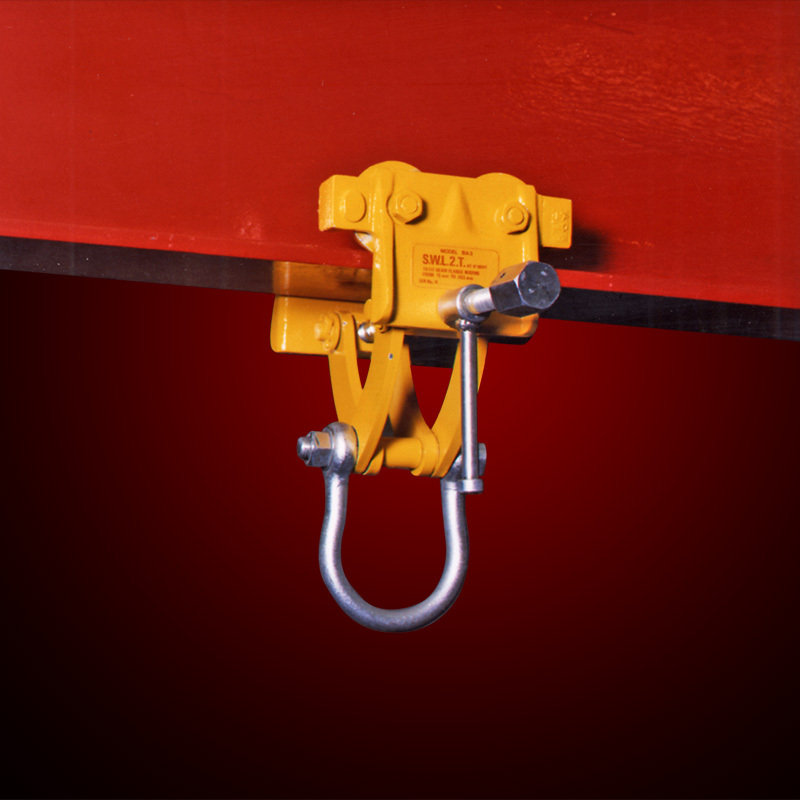 It offers easy to use mobile securing attachments for load and lifting requirements. Developed for lighter industrial application, this product range is completely recommended for maintenance departments and must be an integrated part of every engineers tool kit. 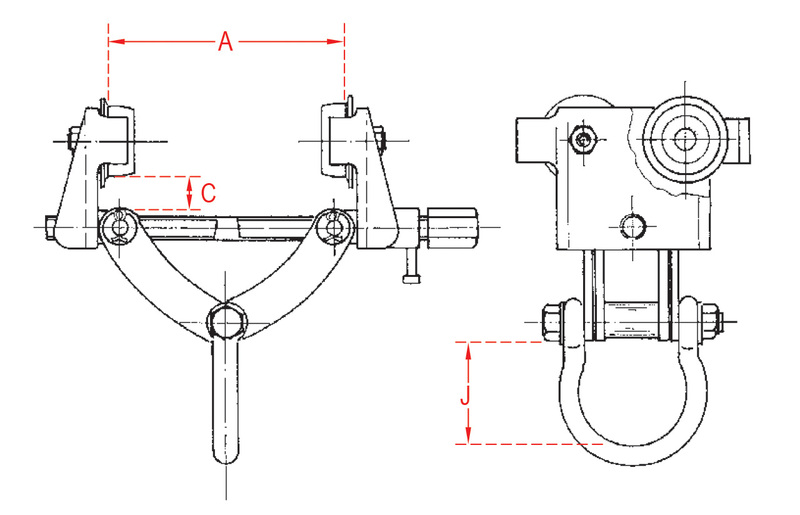 The left and right hand threaded adjusting bar only requires turning so as to ensure appropriate adaptation to a beam width, and the trolley is ready for use. No additional tools or width adjusting components are required. These Adjustable Lightweight Runway Beam Trolleys are fitted with a width adjustment locking mechanism and wheel-guarding anti-drop plates. This range of products could well be one of the great innovations to secure safety and health in the home workshop and at work.